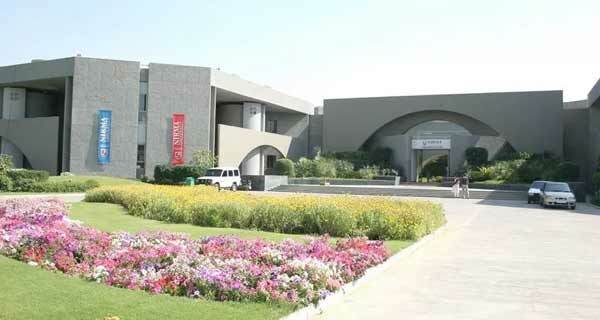 Nirma University is one of India’s leading universities based in Ahmedabad (Gujarat). It is recognized by the University Grants Commission the University is a member of Association of Indian Universities and the Association of Commonwealth Universities. Institute of Law follows an approach to legal education wherein learning experience is not only enlightening but also enriching and inspiring. Institute is committed to exploring multidisciplinary approaches through its unique curriculum and revolutionizing legal education through modern pedagogies thereby adapting to the changing world in which law professionals operate. ILNU focused on developing knowledge, skill and value amongst the students and they are nourished by the critical learning pedagogy and mentored and supported by faculty and staff so that they have the best experience possible to be successful in life. The Institute of Law envisions academic excellence which enables individuals to hone their skills with a sense of social responsibility and leadership. Ethics, value orientation with a keen understanding of contemporary challenges and being the best in one’s capacity are integral part of the learning environment at the Institute. This foundation is achieved by our under graduate programmes which are offered in two streams B.A., LL.B. (Hons. ), B.Com., LL.B. (Hons.) This Five year integrated programme, spread over ten semesters, is approved by the Bar Council of India. The Institute of Law at Nirma University offers Doctorate Programmes under the Faculty of Law. The University announces admission to its Ph.D. programme (External) under following areas. This programme includes course-work of 13 credits including Research Methodology, with Quantitative method and Computer Application. The library resource center at Institute of Law is fully automated with user friendly library software KOHA Open Source Software. The library has been planned and is being developed by a team of qualified professional library staff and guided by the Library Council. It has a collection of over 12119 volumes covering a wide range of general and special subjects consisting of text books, reference books, back volumes of journals and reports etc., apart from legal periodicals. Library is subscribing 72 print national and international journals. It is also subscribing online database like Scopus, Westlaw India, Manupatra, Hein Online, ORIL – Oxford Reports on International Law, Kluwer on Arbitration, SCC Online, CLA Online etc. and have good collection of CD-ROM Database. Library has variety of offline databases like AIR-High Court, AIR-Supreme Court, Criminal Law Journal, Patent & Trade Mark Cases, Supreme Court Cases Online and Gujarat Law Reports.